We’re at the end of another month. So it’s a good chance to set out requests for the next several week’s worth of my mathematics A-To-Z. As I say, I’ve been doing this piecemeal so that I can keep track of requests better. I think it’s been working out, too. If you have any mathematical topics with a name that starts N through T, let me know! I usually go by a first-come, first-serve basis for each letter. But I will vary that if I realize one of the alternatives is more suggestive of a good essay topic. And I may use a synonym or an alternate phrasing if both topics for a particular letter interest me. Also when you do make a request, please feel free to mention your blog, Twitter feed, Mathstodon account, or any other project of yours that readers might find interesting. I’m happy to throw in a mention as I get to the word of the day. As I’d said about a month ago, I’m hoping to panel topics for this year’s A-To-Z in a more piecemeal manner. Mostly this is so I don’t lose track of requests. I’m hoping not to go more than about three weeks between when a topic gets brought up and when I actually commit words to page. But please, if you have any mathematical topics with a name that starts G through M, let me know! I generally take topics on a first-come, first-serve basis for each letter. But I reserve the right to use a not-first-pick choice if I realize the topic’s enchanted me. Also to use a synonym or an alternate phrasing if both topics for a particular letter interest me. Also when you do make a request, please feel free to mention your blog, Twitter feed, Mathstodon account, or any other project of yours that readers might find interesting. I’m happy to throw in a mention as I get to the word of the day. So! I’m open for nominations. Here are the words I’ve used in past A to Z sequences, for reference. I probably don’t want to revisit them, but if someone’s interested, I’ll at least think over whether I have new opinions about them. Thank you. And all the Fall 2018 Mathematics A-To-Z should appear at this link, along with some extra stuff like these topic-request pages and such. Welcome, all, to the start of my 2018 Mathematics A To Z. Twice each week for the rest of the year I hope to have a short essay explaining a term from mathematics. These are fun and exciting for me to do, since I mostly take requests for the words, and I always think I’m going to be father farther ahead of deadline than I actually am. Today’s word comes from longtime friend of my blog Iva Sallay, whose Find the Factors page offers a nice daily recreational logic puzzle. Also trivia about each whole number, in turn. You know how everything feels messy and complicated right now? But you also feel that, at least in the distant past, they were simpler and easier to understand? And how you hope that, sometime in the future, all our current woes will have faded and things will be simple again? Hold that thought. There is no one thing that every mathematician does, apart from insist to friends that they can’t do arithmetic well. But there are things many mathematicians do. One of those is to work with functions. A function is this abstract concept. It’s a triplet of things. One is a domain, a set of things that we draw the independent variables from. One is a range, a set of things that we draw the dependent variables from. And last thing is a rule, something that matches each thing in the domain to one thing in the range. The domain and range can be the same thing. They’re often things like “the real numbers”. They don’t have to be. The rule can be almost anything. It can be simple. It can be complicated. Usually, if it’s interesting, there’s at least something complicated about it. The asymptote, then, is an expression of our hope that we have to work with something that’s truly simple, but has some temporary complicated stuff messing it up just now. Outside some local embarrassment, our function is close enough to this simpler asymptote. The past and the future are these simpler things. It’s only the present, the local area, that’s messy and confusing. We can make this precise. Start off with some function we both agree is interesting. Reach deep into the imagination to call it ‘f’. Suppose that there is an asymptote. That’s also a function, with the same domain and range as ‘f’. Let me call it ‘g’, because that’s a letter very near ‘f’. You give me some tolerance for error. This number mathematicians usually call ‘ε’. We usually think of it as a small thing. But all we need is that it’s larger than zero. Anyway, you give me that ε. Then I can give you, for that ε, some bounded region in the domain. Everywhere outside that region, the difference between ‘f’ and ‘g’ is smaller than ε. That is, our complicated original function ‘f’ and the asymptote ‘g’ are indistinguishable enough. At least everywhere except this little patch of the domain. There’s different regions for different ε values, unless something weird is going on. The smaller then ε the bigger the region of exceptions. But if the domain is something like the real numbers, well, big deal. Our function and our asymptote are indistinguishable roughly everywhere. If there is an asymptote. We’re not guaranteed there is one. But if there is, we know some nice things. We know what our function looks like, at least outside this local range of extra complication. If the domain represents something like time or space, and it often does, then the asymptote represents the big picture. What things look like in deep time. What things look like globally. When studying a function we can divide it into the easy part of the asymptote and the local part that’s “function minus the asymptote”. Usually we meet asymptotes in high school algebra. They’re a pair of crossed lines that hang around hyperbolas. They help you sketch out the hyperbola. Find equations for the asymptotes. Draw these crossed lines. Figure whether the hyperbola should go above-and-below or left-and-right of the crossed lines. Draw discs accordingly. Then match them up to the crossed lines. Asymptotes don’t seem to do much else there. A parabola, the other exotic shape you meet about the same time, doesn’t have any asymptote that’s any simpler than itself. A circle or an ellipse, which you met before but now have equations to deal with, doesn’t have an asymptote at all. They aren’t big enough to have any. So at first introduction asymptotes seem like a lot of mechanism for a slight problem. We don’t need accurate hand-drawn graphs of hyperbolas that much. In more complicated mathematics they get useful again. In dynamical systems we look at descriptions of how something behaves in time. Often its behavior will have an asymptote. Not always, but it’s nice to see when it does. When we study operations, how long it takes to do a task, we see asymptotes all over the place. How long it takes to perform a task depends on how big a problem it is we’re trying to solve. The relationship between how big the thing is and how long it takes to do is some function. The asymptote appears when thinking about solving huge examples of the problem. What rule most dominates how hard the biggest problems are? That’s the asymptote, in this case. Not everything has an asymptote. Some functions are always as complicated as they started. Oscillations, for example, if they don’t dampen out. A sine wave isn’t complicated. Not if you’re the kind of person who’ll write things like “a sine wave isn’t complicated”. But if the size of the oscillations doesn’t decrease, then there can’t be an asymptote. Functions might be chaotic, with values that vary along some truly complicated system, and so never have an asymptote. But often we can find a simpler function that looks enough like the function we care about. Everywhere except some local little embarrassment. We can enjoy the promise that things were understandable at one point, and maybe will be again. So I have given up on waiting for a moment when my schedule looks easier. I’m going to plunge in and make it all hard again. Thus I announce, to start in about a month, my Fall 2018 Mathematics A To Z. This is something I’ve done once or twice the last few years. The idea is easy: I take one mathematical term for each letter of the alphabet and explain it. The last several rounds I’ve gotten the words from you, kind readers who would love watching me trying to explain something in a field of mathematics I only just learned anything about. It’s great fun. If you do any kind of explanatory blog I recommend the format. I do mean to do things a little different this time. First, and most visibly, I’m only going to post two essays a week. In past years I’ve done three, and that’s a great pace. It’s left me sometimes with that special month where I have a fresh posting every single day of the month. It’s also a crushing schedule, at least for me. Especially since I’ve been writing longer and longer, both here and on my humor blog. Two’s my limit and I reserve the right to skip a week when I need to skip a week. Second. I’m going to open for requests only a few letters at a time. In the past I’ve ended up lost when, for example, my submit-your-requests post ends up being seven weeks back and hard to find under all my notifications. This should help me better match up my requests, my writing pace, and my deadlines. It will not. Also, in the past I’ve always done first-come, first-serve. I’m still inclined toward that. But I’m going to declare that if I come in and check my declarations some morning and find several requests for the same letter, I may decide to go with the word that most captures my imagination. Probably I won’t have the nerve. But I’d like to think I have. I might do some supplementals after the string is done, too. We’ll see what I feel up to. Doing a whole run is exhilarating but exhausting. 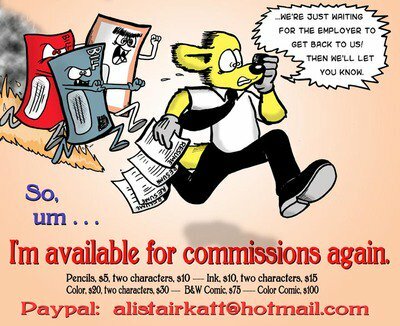 Oh, I need to commission some header art from Thomas K Dye, creator of the web comic Newshounds , for this. Also for another project that’ll help my September get a little more overloaded. This is just a list of all the topics I covered in the Summer 2017 A To Z. And if those aren’t enough essays for you, here’s a collection of all the topics from the three previous A To Z sequences that I’ve done. Thank you, and thanks for reading and for challenging me to write. And now as summer (United States edition) reaches its closing months I plunge into the fourth of my A To Z mathematics-glossary sequences. I hope I know what I’m doing! Today’s request is one of several from Gaurish, who’s got to be my top requester for mathematical terms and whom I thank for it. It’s a lot easier writing these things when I don’t have to think up topics. Gaurish hosts a fine blog, For the love of Mathematics , which you might consider reading. Arithmetic is what people who aren’t mathematicians figure mathematicians do all day. I remember in my childhood a Berenstain Bears book about people’s jobs. Its mathematician was an adorable little bear adding up sums on the chalkboard, in an observatory, on the Moon. I liked every part of this. I wouldn’t say it’s the whole reason I became a mathematician but it did made the prospect look good early on. People who aren’t mathematicians are right. At least, the bulk of what mathematics people do is arithmetic. If we work by volume. Arithmetic is about the calculations we do to evaluate or solve polynomials. And polynomials are everything that humans find interesting. Arithmetic is adding and subtracting, of multiplication and division, of taking powers and taking roots. Arithmetic is changing the units of a thing, and of breaking something into several smaller units, or of merging several smaller units into one big one. Arithmetic’s role in commerce and in finance must overwhelm the higher mathematics. Higher mathematics offers cohomologies and Ricci tensors. Arithmetic offers a budget. How the Mind Creates Mathematics , by Stanislas Daehaene.) We learn it first, refining our rough instinctively developed sense to something rigorous. At least we learn it at the same time we learn geometry, the other branch of mathematics that must predate human existence. The primality of arithmetic governs how it becomes an adjective. We will have, for example, the “arithmetic progression” of terms in a sequence. This is a sequence of numbers such as 1, 3, 5, 7, 9, and so on. Or 4, 9, 14, 19, 24, 29, and so on. The difference between one term and its successor is the same as the difference between the predecessor and this term. Or we speak of the “arithmetic mean”. This is the one found by adding together all the numbers of a sample and dividing by the number of terms in the sample. These are important concepts, useful concepts. They are among the first concepts we have when we think of a thing. Their familiarity makes them easy tools to overlook. Consider the Fundamental Theorem of Arithmetic. There are many Fundamental Theorems; that of Algebra guarantees us the number of roots of a polynomial equation. That of Calculus guarantees us that derivatives and integrals are joined concepts. The Fundamental Theorem of Arithmetic tells us that every whole number greater than one is equal to one and only one product of prime numbers. If a number is equal to (say) two times two times thirteen times nineteen, it cannot also be equal to (say) five times eleven times seventeen. This may seem uncontroversial. The budding mathematician will convince herself it’s so by trying to work out all the ways to write 60 as the product of prime numbers. It’s hard to imagine mathematics for which it isn’t true. But it needn’t be true. As we study why arithmetic works we discover many strange things. This mathematics that we know even without learning is sophisticated. To build a logical justification for it requires a theory of sets and hundreds of pages of tight reasoning. Or a theory of categories and I don’t even know how much reasoning. The thing that is obvious from putting a couple objects on a table and then a couple more is hard to prove. As we continue studying arithmetic we start to ponder things like Goldbach’s Conjecture, about even numbers (other than two) being the sum of exactly two prime numbers. This brings us into number theory, a land of fascinating problems. Many of them are so accessible you could pose them to a person while waiting in a fast-food line. This befits a field that grows out of such simple stuff. Many of those are so hard to answer that no person knows whether they are true, or are false, or are even answerable. And it splits off other ideas. Arithmetic starts, at least, with the counting numbers. It moves into the whole numbers and soon all the integers. With division we soon get rational numbers. With roots we soon get certain irrational numbers. A close study of this implies there must be irrational numbers that must exist, at least as much as “four” exists. Yet they can’t be reached by studying polynomials. Not polynomials that don’t already use these exotic irrational numbers. These are transcendental numbers. If we were to say the transcendental numbers were the only real numbers we would be making only a very slight mistake. We learn they exist by thinking long enough and deep enough about arithmetic to realize there must be more there than we realized. Thought compounds thought. The integers and the rational numbers and the real numbers have a structure. They interact in certain ways. We can look for things that are not numbers, but which follow rules like that for addition and for multiplication. Sometimes even for powers and for roots. Some of these can be strange: polynomials themselves, for example, follow rules like those of arithmetic. Matrices, which we can represent as grids of numbers, can have powers and even something like roots. Arithmetic is inspiration to finding mathematical structures that look little like our arithmetic. We can find things that follow mathematical operations but which don’t have a Fundamental Theorem of Arithmetic. And there are more related ideas. These are often very useful. There’s modular arithmetic, in which we adjust the rules of addition and multiplication so that we can work with a finite set of numbers. There’s floating point arithmetic, in which we set machines to do our calculations. These calculations are no longer precise. But they are fast, and reliable, and that is often what we need. So arithmetic is what people who aren’t mathematicians figure mathematicians do all day. And they are mistaken, but not by much. Arithmetic gives us an idea of what mathematics we can hope to understand. So it structures the way we think about mathematics. I’m figuring to begin my Summer 2017 Mathematics A To Z next week. And I’ve got the first several letters pinned down, in part by a healthy number of requests by Gaurish, a lover of mathematics. Partly by some things I wanted to talk about. There are many letters not yet spoken for, though. If you’ve got something you’d like me to talk about, please head over to my first appeal and add a comment. The letters crossed out have been committed, but many are free. And the challenges are so much fun. What Would You Like In The Summer 2017 Mathematics A To Z? I would like to now announce exactly what everyone with the ability to draw conclusions expected after I listed the things covered in previous Mathematics A To Z summaries. I’m hoping to write essays about another 26 topics, one for each of the major letters of the alphabet. And, as ever, I’d like your requests. It’s great fun to be tossed out a subject and either know enough about it, or learn enough about it in a hurry, to write a couple hundred words about it. So that’s what this is for. Please, in comments, list something you’d like to see explained. For the most part, I’ll do a letter on a first-come, first-serve basis. I’ll try to keep this page updated so that people know which letters have already been taken. I might try rewording or rephrasing a request if I can’t do it under the original letter if I can think of a legitimate way to cover it under another. I’m open to taking another try at something I’ve already defined in the three A To Z runs I’ve previously done, especially since many of the terms have different meanings in different contexts. I’m always in need of requests for letters such as X and Y. But you knew that if you looked at how sparse Mathworld’s list of words for those letters are. I’m flexible about what I mean by “a word” or “a term” in requesting something, especially if it gives me a good subject to write about. And if you think of a clever way to get a particular word covered under a letter that’s really inappropriate, then, good. I like cleverness. I’m not sure what makes for the best kinds of glossary terms. Sometimes a broad topic is good because I can talk about how an idea expresses itself across multiple fields. Sometimes a narrow topic is good because I can dig in to a particular way of thinking. I’m just hoping I’m not going to commit myself to three 2500-word essays a week. Those are fun, but they’re exhausting, as the time between Why Stuff Can Orbit essays may have hinted. And finally, I’d like to thank Thomas K Dye for creating banner art for this sequence. He’s the creator of the longrunning web comic Newshounds . He’s also got the book version, Newshounds: The Complete Story freshly published, a Patreon to support his comics habit, and plans to resume his Infinity Refugees spinoff strip shortly. Author Joseph NebusPosted on Thursday, 13 July, 2017 Thursday, 27 July, 2017 Categories Math, Mathematics, MathsTags 2017, A-To-Z, glossary, requests, summer27 Comments on What Would You Like In The Summer 2017 Mathematics A To Z? I am not saying why I am posting this recap of past lists just now. But now you know why I am posting this recap of past lists just now. And do, please, watch this space. As I’ve done before I’m using one of my essays to set up for another essay. It makes a later essay easier. What I want to talk about is worth some paragraphs on its own. The 19th Century saw the discovery of some unsettling truths about … well, everything, really. If there is an intellectual theme of the 19th Century it’s that everything has an unsettling side. In the 20th Century craziness broke loose. The 19th Century, though, saw great reasons to doubt that we knew what we knew. But one of the unsettling truths grew out of mathematical physics. We start out studying physics the way Galileo or Newton might have, with falling balls. Ones that don’t suffer from air resistance. Then we move up to more complicated problems, like balls on a spring. Or two balls bouncing off each other. Maybe one ball, called a “planet”, orbiting another, called a “sun”. Maybe a ball on a lever swinging back and forth. We try a couple simple problems with three balls and find out that’s just too hard. We have to track so much information about the balls, about their positions and momentums, that we can’t solve any problems anymore. Oh, we can do the simplest ones, but we’re helpless against the interesting ones. And then we discovered something. By “we” I mean people like James Clerk Maxwell and Josiah Willard Gibbs. And that is that we can know important stuff about how millions and billions and even vaster numbers of things move around. Maxwell could work out how the enormously many chunks of rock and ice that make up Saturn’s rings move. Gibbs could work out how the trillions of trillions of trillions of trillions of particles of gas in a room move. We can’t work out how four particles move. How is it we can work out how a godzillion particles move? We do it by letting go. We stop looking for that precision and exactitude and knowledge down to infinitely many decimal points. Even though we think that’s what mathematicians and physicists should have. What we do instead is consider the things we would like to know. Where something is. What its momentum is. What side of a coin is showing after a toss. What card was taken off the top of the deck. What tile was drawn out of the Scrabble bag. There are possible results for each of these things we would like to know. Perhaps some of them are quite likely. Perhaps some of them are unlikely. We track how likely each of these outcomes are. This is called the distribution of the values. This can be simple. The distribution for a fairly tossed coin is “heads, 1/2; tails, 1/2”. The distribution for a fairly tossed six-sided die is “1/6 chance of 1; 1/6 chance of 2; 1/6 chance of 3” and so on. It can be more complicated. The distribution for a fairly tossed pair of six-sided die starts out “1/36 chance of 2; 2/36 chance of 3; 3/36 chance of 4” and so on. If we’re measuring something that doesn’t come in nice discrete chunks we have to talk about ranges: the chance that a 30-year-old male weighs between 180 and 185 pounds, or between 185 and 190 pounds. The chance that a particle in the rings of Saturn is moving between 20 and 21 kilometers per second, or between 21 and 22 kilometers per second, and so on. We may be unable to describe how a system evolves exactly. But often we’re able to describe how the distribution of its possible values evolves. And the laws by which probability work conspire to work for us here. We can get quite precise predictions for how a whole bunch of things behave even without ever knowing what any thing is doing. That’s unsettling to start with. It’s made worse by one of the 19th Century’s late discoveries, that of chaos. That a system can be perfectly deterministic. That you might know what every part of it is doing as precisely as you care to measure. And you’re still unable to predict its long-term behavior. That’s unshakeable too, although statistical techniques will give you an idea of how likely different behaviors are. You can learn the distribution of what is likely, what is unlikely, and how often the outright impossible will happen. Distributions follow rules. Of course they do. They’re basically the rules you’d imagine from looking at and thinking about something with a range of values. Something like a chart of how many students got what grades in a class, or how tall the people in a group are, or so on. Each possible outcome turns up some fraction of the time. That fraction’s never less than zero nor greater than 1. Add up all the fractions representing all the times every possible outcome happens and the sum is exactly 1. Something happens, even if we never know just what. But we know how often each outcome will. There is something amazing to consider here. We can know and track everything there is to know about a physical problem. But we will be unable to do anything with it, except for the most basic and simple problems. We can choose to relax, to accept that the world is unknown and unknowable in detail. And this makes imaginable all sorts of problems that should be beyond our power. Once we’ve given up on this precision we get precise, exact information about what could happen. We can choose to see it as a moral about the benefits and costs and risks of how tightly we control a situation. It’s a surprising lesson to learn from one’s training in mathematics. Today’s term is a request, the first of this series. It comes from HowardAt58, head of the Saving School Math blog. There are many letters not yet claimed; if you have a term you’d like to see my write about please head over to the “Any Requests?” page and pick a letter. Please not one I figure to get to in the next day or two. I think one could make a defensible history of mathematics by describing it as a series of ridiculous things that get discovered. And then, by thinking about these ridiculous things long enough, mathematicians come to accept them. Even rely on them. Sometime later the public even comes to accept them. I don’t mean to say getting people to accept ridiculous things is the point of mathematics. But there is a pattern which happens. Consider. People doing mathematics came to see how a number could be detached from a count or a measure of things. That we can do work on, say, “three” whether it’s three people, three kilograms, or three square meters. We’re so used to this it’s only when we try teaching mathematics to the young we realize it isn’t obvious. Or consider that we can have, rather than a whole number of things, a fraction. Some part of a thing, as if you could have one-half pieces of chalk or two-thirds a fruit. Counting is relatively obvious; fractions are something novel but important. We have “zero”; somehow, the lack of something is still a number, the way two or five or one-half might be. For that matter, “one” is a number. How can something that isn’t numerous be a number? We’re used to it anyway. We can have not just fraction and one and zero but irrational numbers, ones that can’t be represented as a fraction. We have negative numbers, somehow a lack of whatever we were counting so great that we might add some of what we were counting to the pile and still have nothing. That takes us up to about eight hundred years ago or something like that. The public’s gotten to accept all this as recently as maybe three hundred years ago. They’ve still got doubts. I don’t blame folks. Complex numbers mathematicians like; the public’s still getting used to the idea, but at least they’ve heard of them. Cantor’s Middle Third is part of the current edge. It’s something mathematicians are aware of and that defies sense at least. But we’ve come to accept it. The public, well, they don’t know about it. Maybe some do; it turns up in pop mathematics books that like sharing the strangeness of infinities. Few people read them. Sometimes it feels like all those who do go online to tell mathematicians they’re crazy. It comes to us, as you might guess from the name, from Georg Cantor. Cantor established the modern mathematical concept of how to study infinitely large sets in the late 19th century. And he was repeatedly hospitalized for depression. It’s cruel to write all that off as “and he was crazy”. His work’s withstood a hundred and thirty-five years of extremely smart people looking at it skeptically. The Middle Third starts out easily enough. Take a line segment. Then chop it into three equal pieces and throw away the middle third. You see where the name comes from. What do you have left? Some of the original line. Two-thirds of the original line length. A big gap in the middle. Now take the two line segments. Chop each of them into three equal pieces. Throw away the middle thirds of the two pieces. Now we’re left with four chunks of line and four-ninths of the original length. One big and two little gaps in the middle. Now take the four little line segments. Chop each of them into three equal pieces. Throw away the middle thirds of the four pieces. We’re left with eight chunks of line, about eight-twenty-sevenths of the original length. Lots of little gaps. Keep doing this, chopping up line segments and throwing away middle pieces. Never stop. Well, pretend you never stop and imagine what’s left. What’s left is deeply weird. What’s left has no length, no measure. That’s easy enough to prove. But we haven’t thrown everything away. There are bits of the original line segment left over. The left endpoint of the original line is left behind. So is the right endpoint of the original line. The endpoints of the line segments after the first time we chopped out a third? Those are left behind. The endpoints of the line segments after chopping out a third the second time, the third time? Those have to be in the set. We have a dust, isolated little spots of the original line, none of them combining together to cover any length. And there are infinitely many of these isolated dots. We’ve seen that before. At least we have if we’ve read anything about the Cantor Diagonal Argument. You can find that among the first ten posts of every mathematics blog. (Not this one. I was saving the subject until I had something good to say about it. Then I realized many bloggers have covered it better than I could.) Part of it is pondering how there can be a set of infinitely many things that don’t cover any length. The whole numbers are such a set and it seems reasonable they don’t cover any length. The rational numbers, though, are also an infinitely-large set that doesn’t cover any length. And there’s exactly as many rational numbers as there are whole numbers. This is unsettling but if you’re the sort of person who reads about infinities you come to accept it. Or you get into arguments with mathematicians online and never know you’ve lost. Here’s where things get weird. How many bits of dust are there in this middle third set? It seems like it should be countable, the same size as the whole numbers. After all, we pick up some of these points every time we throw away a middle third. So we double the number of points left behind every time we throw away a middle third. That’s countable, right? It’s not. We can prove it. The proof looks uncannily like that of the Cantor Diagonal Argument. That’s the one that proves there are more real numbers than there are whole numbers. There are points in this leftover set that were not endpoints of any of these middle-third excerpts. This dust has more points in it than there are rational numbers, but it covers no length. It’s got other neat properties. It’s a fractal, which is why someone might have heard of it, back in the Great Fractal Land Rush of the 80s and 90s. Look closely at part of this set and it looks like the original set, with bits of dust edging gaps of bigger and smaller sizes. It’s got a fractal dimension, or “Hausdorff dimension” in the lingo, that’s the logarithm of two divided by the logarithm of three. That’s a number actually known to be transcendental, which is reassuring. Nearly all numbers are transcendental, but we only know a few examples of them. HowardAt58 asked me about the Middle Third set, and that’s how I’ve referred to it here. It’s more often called the “Cantor set” or “Cantor comb”. The “comb” makes sense because if you draw successive middle-thirds-thrown-away, one after the other, you get something that looks kind of like a hair comb, if you squint. You can build sets like this that aren’t based around thirds. You can, for example, develop one by cutting lines into five chunks and throw away the second and fourth. You get results that are similar, and similarly heady, but different. They’re all astounding. They’re all hard to believe in yet. They may get to be stuff we just accept as part of how mathematics works. So let me start the End 2016 Mathematics A To Z with a word everybody figures they know. As will happen, everybody’s right and everybody’s wrong about that. Everybody knows what algebra is. It’s the point where suddenly mathematics involves spelling. Instead of long division we’re on a never-ending search for ‘x’. Years later we pass along gifs of either someone saying “stop asking us to find your ex” or someone who’s circled the letter ‘x’ and written “there it is”. And make jokes about how we got through life without using algebra. And we know it’s the thing mathematicians are always doing. Mathematicians aren’t always doing that. I expect the average mathematician would say she almost never does that. That’s a bit of a fib. We have a lot of work where we do stuff that would be recognizable as high school algebra. It’s just we don’t really care about that. We’re doing that because it’s how we get the problem we are interested in done. the most recent few pieces in my “Why Stuff can Orbit” series include a bunch of high school algebra-style work. But that was just because it was the easiest way to answer some calculus-inspired questions. Still, “algebra” is a much-used word. It comes back around the second or third year of a mathematics major’s career. It comes in two forms in undergraduate life. One form is “linear algebra”, which is a great subject. That field’s about how stuff moves. You get to imagine space as this stretchy material. You can stretch it out. You can squash it down. You can stretch it in some directions and squash it in others. You can rotate it. These are simple things to build on. You can spend a whole career building on that. It becomes practical in surprising ways. For example, it’s the field of study behind finding equations that best match some complicated, messy real data. The second form is “abstract algebra”, which comes in about the same time. This one is alien and baffling for a long while. It doesn’t help that the books all call it Introduction to Algebra or just Algebra and all your friends think you’re slumming. The mathematics major stumbles through confusing definitions and theorems that ought to sound comforting. (“Fermat’s Little Theorem”? That’s a good thing, right?) But the confusion passes, in time. There’s a beautiful subject here, one of my favorites. I’ve talked about it a lot. We start with something that looks like the loosest cartoon of arithmetic. We get a bunch of things we can add together, and an ‘addition’ operation. This lets us do a lot of stuff that looks like addition modulo numbers. Then we go on to stuff that looks like picking up floor tiles and rotating them. Add in something that we call ‘multiplication’ and we get rings. This is a bit more like normal arithmetic. Add in some other stuff and we get ‘fields’ and other structures. We can keep falling back on arithmetic and on rotating tiles to build our intuition about what we’re doing. This trains mathematicians to look for particular patterns in new, abstract constructs. Linear algebra is not an abstract-algebra sort of algebra. Sorry about that. And there’s another kind of algebra that mathematicians talk about. At least once they get into grad school they do. There’s a huge family of these kinds of algebras. The family trait for them is that they share a particular rule about how you can multiply their elements together. I won’t get into that here. There are many kinds of these algebras. One that I keep trying to study on my own and crash hard against is Lie Algebra. That’s named for the Norwegian mathematician Sophus Lie. Pronounce it “lee”, as in “leaning”. You can understand quantum mechanics much better if you’re comfortable with Lie Algebras and so now you know one of my weaknesses. Another kind is the Clifford Algebra. This lets us create something called a “hypercomplex number”. It isn’t much like a complex number. Sorry. Clifford Algebra does lend to a construct called spinors. These help physicists understand the behavior of bosons and fermions. Every bit of matter seems to be either a boson or a fermion. So you see why this is something people might like to understand. Boolean Algebra is the algebra of this type that a normal person is likely to have heard of. It’s about what we can build using two values and a few operations. Those values by tradition we call True and False, or 1 and 0. The operations we call things like ‘and’ and ‘or’ and ‘not’. It doesn’t sound like much. It gives us computational logic. Isn’t that amazing stuff? So if someone says “algebra” she might mean any of these. A normal person in a non-academic context probably means high school algebra. A mathematician speaking without further context probably means abstract algebra. If you hear something about “matrices” it’s more likely that she’s speaking of linear algebra. But abstract algebra can’t be ruled out yet. If you hear a word like “eigenvector” or “eigenvalue” or anything else starting “eigen” (or “characteristic”) she’s more probably speaking of abstract algebra. And if there’s someone’s name before the word “algebra” then she’s probably speaking of the last of these. This is not a perfect guide. But it is the sort of context mathematicians expect other mathematicians notice. The biggest thing I learned in the recently concluded mathematics glossary is that continued fractions have enthusiasts. I hadn’t intended to cause controversy when I claimed they weren’t much used anymore. The most I have grounds to say is that the United States educational process as I experienced it doesn’t use them for more than a few special purposes. There is a general lesson there. While my experience may be typical, that doesn’t mean everyone’s is like it. There is a mystery to learn from in that. The next big thing I learned was the Kullbach-Leibler Divergence. I’m glad to know it now. And I would not have known it, I imagine, if it weren’t for my trying something novel and getting a fine result from it. That was throwing open the A To Z glossary to requests from readers. At least half the terms were ones that someone reading my original call had asked for. And that was thrilling. It gave me a greater feeling that I was communicating with specific people than most of the things that I’ve written, is the biggest point. I understand that I have readers, and occasionally chat with some. This was a rare chance to feel engaged, though. And getting asked things I hadn’t thought of, or in some cases hadn’t heard of, was great. It foiled the idea of two months’ worth of easy postings, but it made me look up and learn and think about a variety of things. And also to re-think them. My first drafts of the Dedekind Domain and the Kullbach-Leibler divergence essays were completely scrapped, and the Jacobian made it through only with a lot of rewriting. I’ve been inclined to write with few equations and even fewer drawings around here. Part of that’s to be less intimidating. Part of that’s because of laziness. Some stuff is wonderfully easy to express in a sketch, but transferring that to a digital form is the heavy work of getting out the scanner and plugging it in. Or drawing from scratch on my iPad. Cleaning it up is even more work. So better to spend a thousand extra words on the setup. But that seemed to work! I’m especially surprised that the Jacobian and the Lagrangian essays seemed to make sense without pictures or equations. Homomorphisms and isomorphisms were only a bit less surprising. I feel like I’ve been writing better thanks to this. I do figure on another A To Z for sometime this summer. Perhaps I should open nominations already, and with a better-organized scheme for knocking out letters. Some people were disappointed (I suppose) by picking letters that had already got assigned. And I could certainly use time and help finding more x- and y-words. Q isn’t an easy one either. And with the conclusion of the alphabet I move now into posting about each of the counting numbers. … No, wait, that’s already being done. But I should gather together the A To Z posts in order that it’s easier to find them later on. I mean to put together some thoughts about this A To Z. I haven’t had time yet. I can say that it’s been a lot of fun to write, even if after the first two weeks I was never as far ahead of deadline as I hoped to be. I do expect to run another one of these, although I don’t know when that will be. After I’ve had some chance to recuperate, though. It’s fun going two months without missing a day’s posting on my mathematics blog. But it’s also work and who wants that?